The old GSX-R1000 may not have been quite up there with some of the competition on track, but that doesn’t stop it being a great bike, which is why this one is today’s bike of the day. 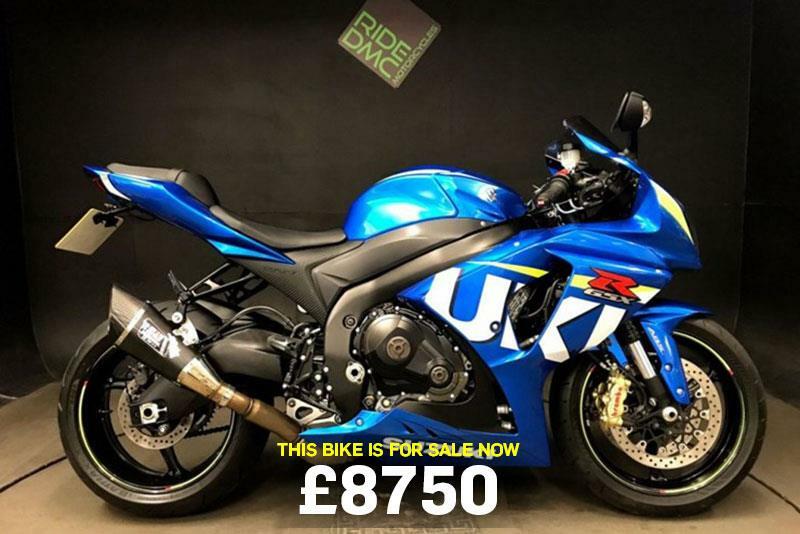 This gorgeous GP Rep GSX-R1000 also comes with the expensive ABS option and a Yoshimura exhaust, it’s a lovely bike in great condition with 4k service done. Tyres and consumables all good, needs for nothing. It comes with spare key and alarm fob, stamped up service book, handbook and is HPI clear. The now old GSX-R was an exceptional bike, winning AMA and world endurance titles and narrowly missing out on a BSB title. Suzuki have simply improved the weak points, namely better brakes, more midrange, lighter handling with a few cosmetic tweaks, which in the end produces an exceptional road bike with real world manners. It may lack sophisticated traction control and isn’t as race-focussed as BMW’s S1000R or Kawasaki’s ZX-10R but it won’t be far behind in terms of lap times and is much more forgiving on the road.